How to get your content reviewers using GatherContent. The role of a reviewer in a project is often low key. To reflect that in GatherContent we recommend that you reduce their Roles & Permissions so they really can’t do very much apart from review content. 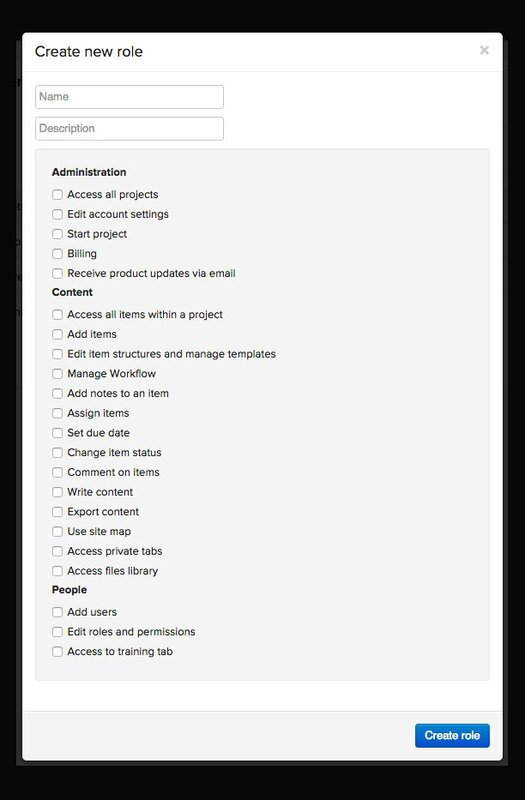 Go to Roles & Permissions in your GatherContent account. Underneath People & Groups you can create a custom role or edit the closest role to it which is probably client role. The role can be edited to have permissions based on reviewing, rather than client permissions, which are based on editing content and producing it as well. This removes the ability to write content and to view all items in a project. If you remove the latter, then the person can only see items they are assigned to manually by yourself. This means from the reviewers perspective they will only see items they need to know about and it means they can’t edit the content on these items, they can only comment and update statuses. These are the only two permissions they really need to have.